Want to participate in a sewalong and make this cute tunic and/or dress? I am going to be one of the panelists for this sewalong and making my own version of this tunic. You can check out all the details over at the Oliver + S blog. Now a highlight for this sewalong is the chance to win a great prize: Enter to win a $50 gift certificate to the Oliver + S website! When you have completed your Gallery Tunic or Dress, post it somewhere and then add a link to it using the button below. 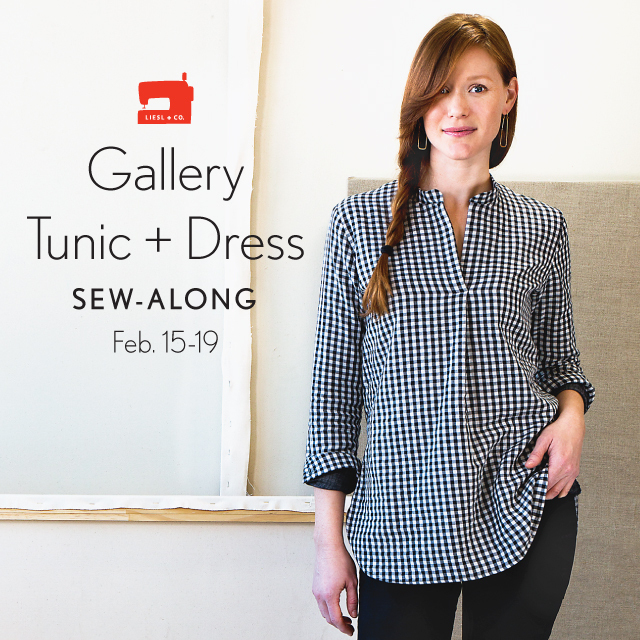 Any Gallery Tunics or Dresses made since January 1st, 2016 can be entered. If you sew more than one, enter each one separately. All entries must be submitted by Friday February 26th 11:59 PM ET. The five panelists will vote for their favorite, and the winner will be announced on Monday February 29th. I have some fabric selected and want to find a good coordinating fabric. What about you? Are you going to participate? If so, do you have fabric in your stash or are you going to order some?